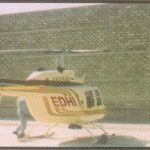 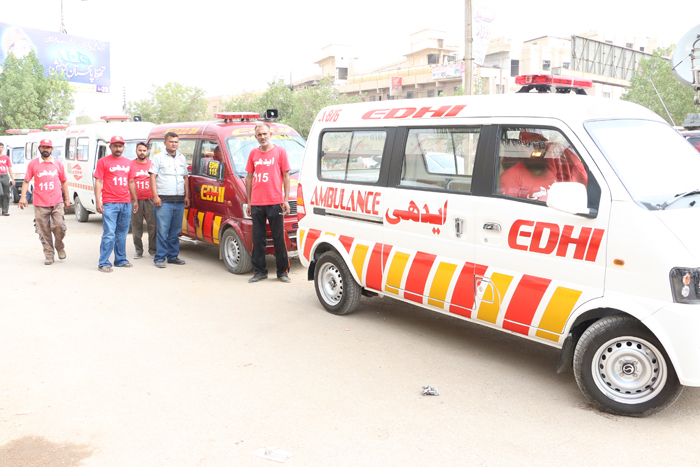 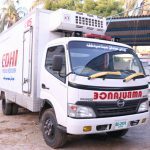 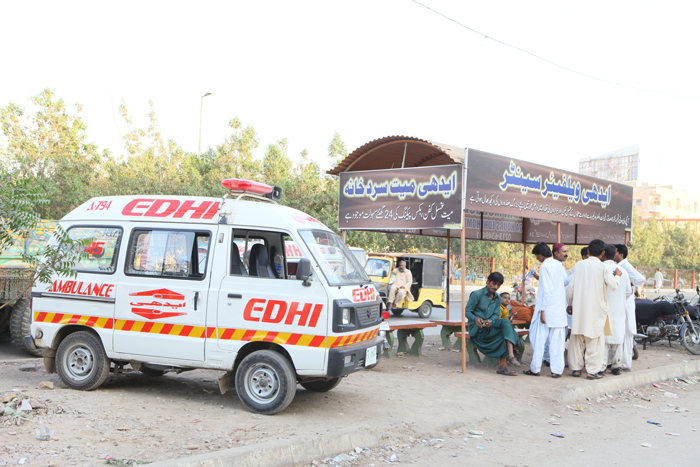 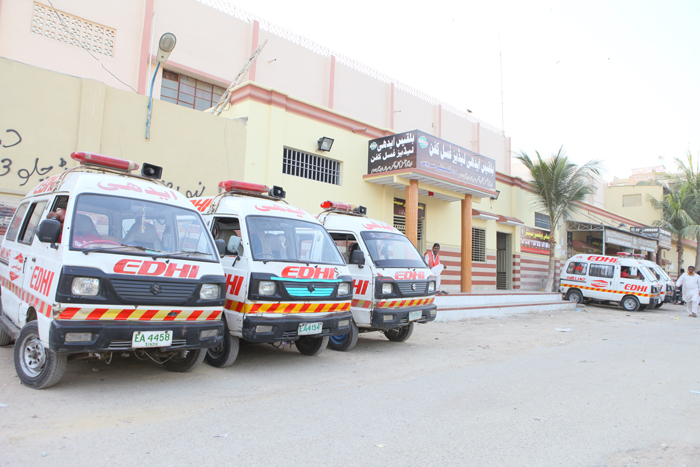 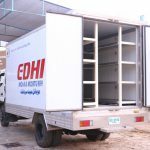 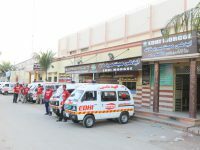 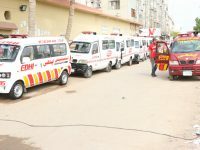 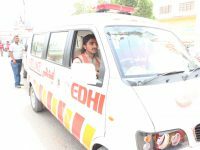 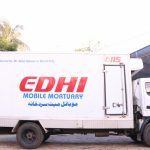 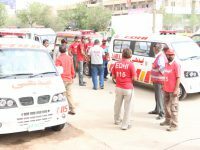 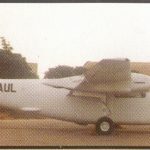 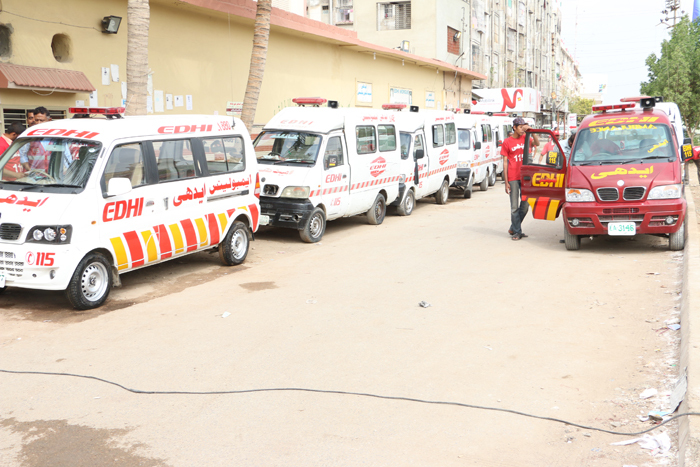 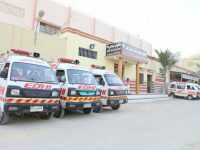 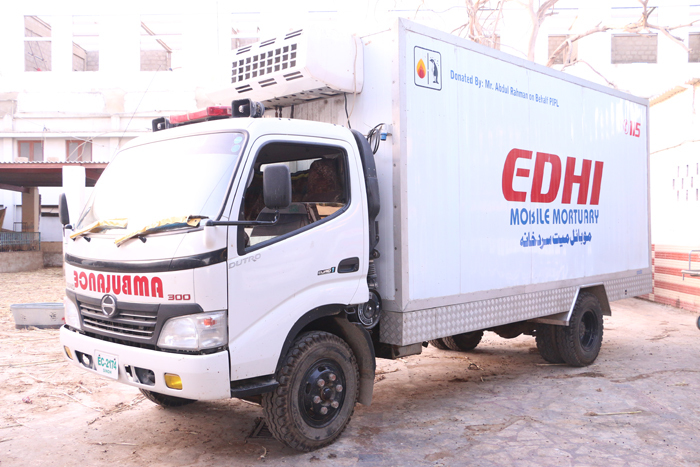 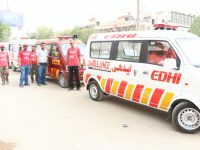 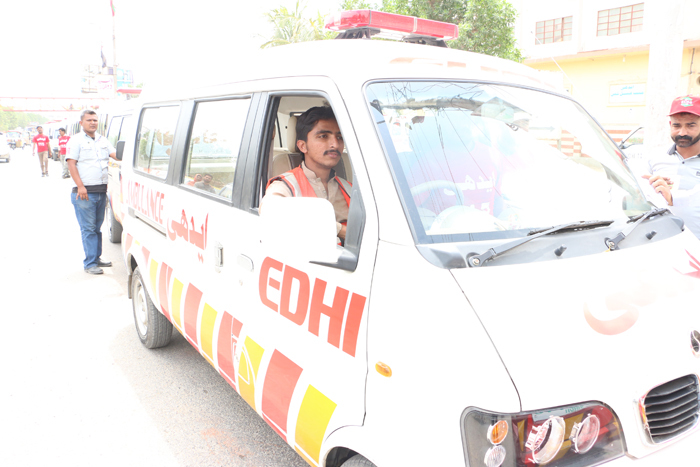 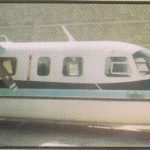 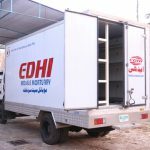 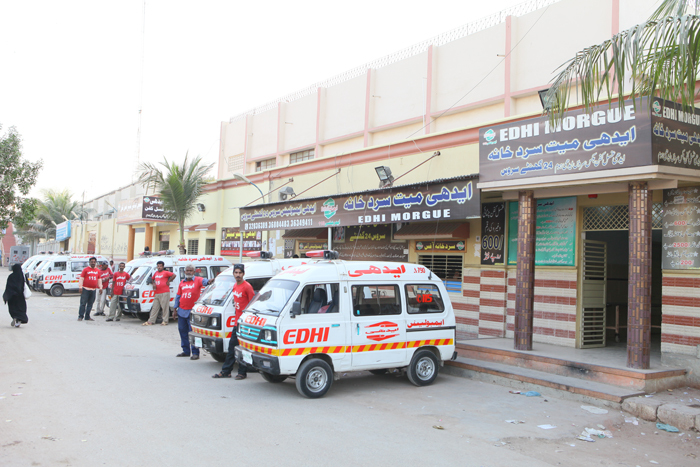 Edhi Land Ambulance Service was initially started by including a second hand Hillman Pickup Truck and that was refurbished into the first ambulance, thereby coining “Poor Patient Ambulance”. 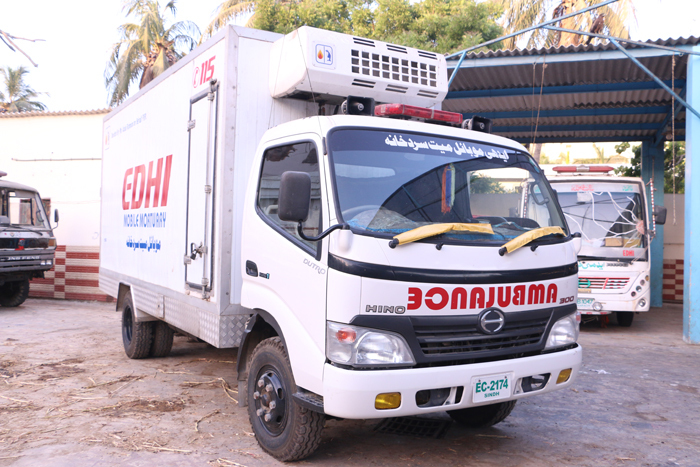 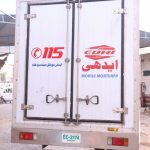 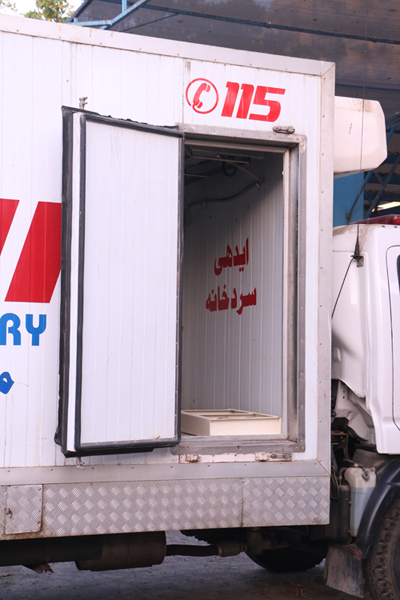 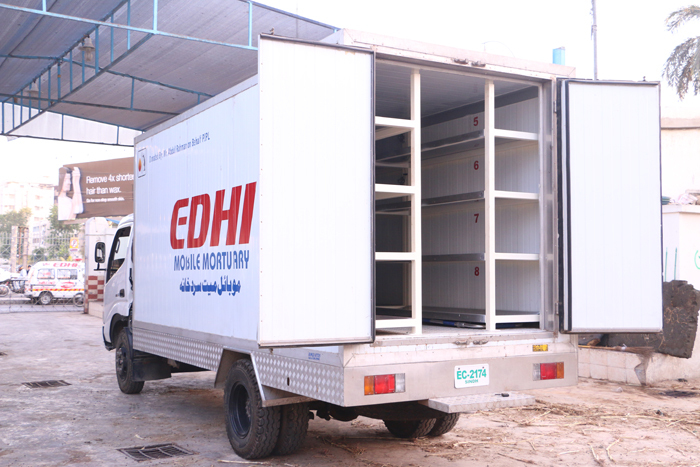 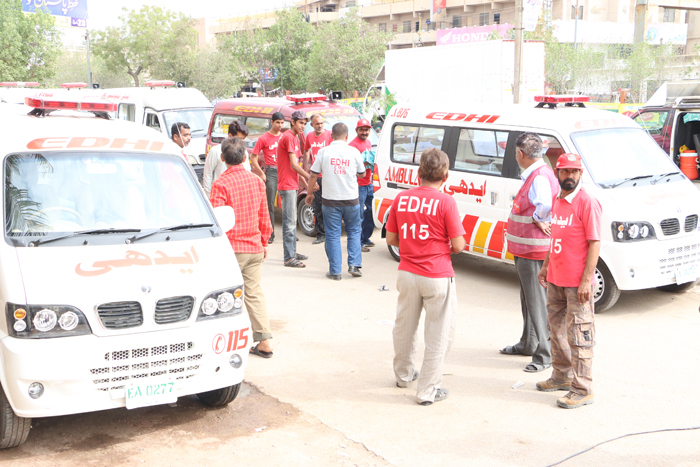 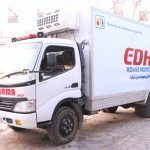 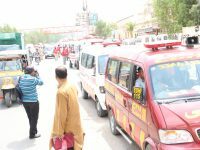 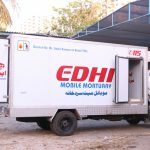 Now sixty years after, the Edhi ambulance has reached to the stage of largest fleet of ambulances in the world, thereby providing with a tantalizing number of ambulances—such as 1800 vehicles, all over our country – Pakistan. 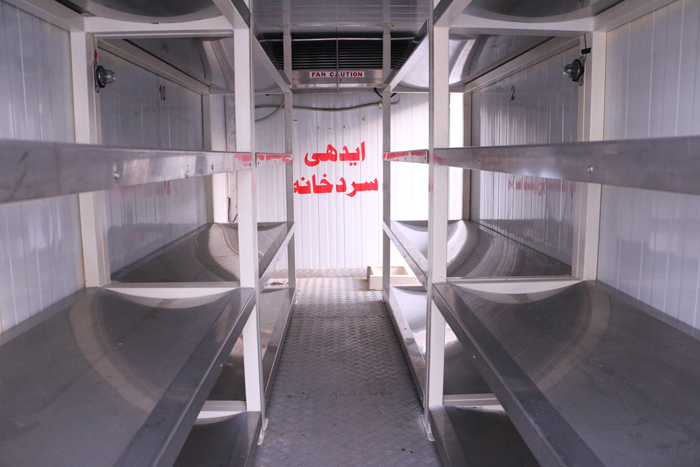 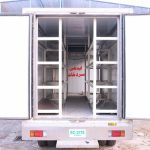 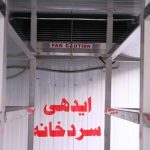 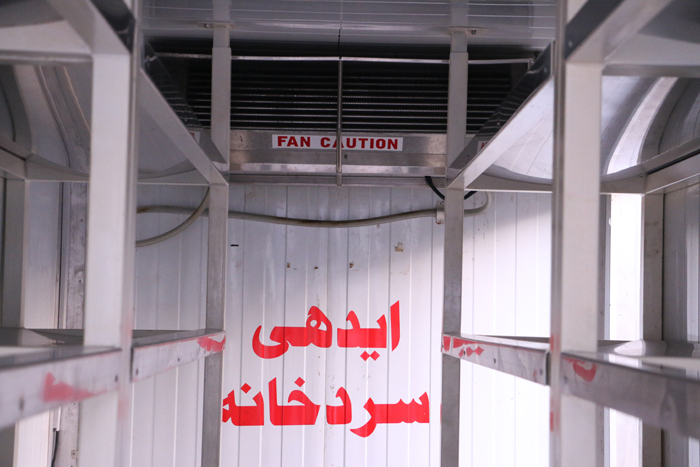 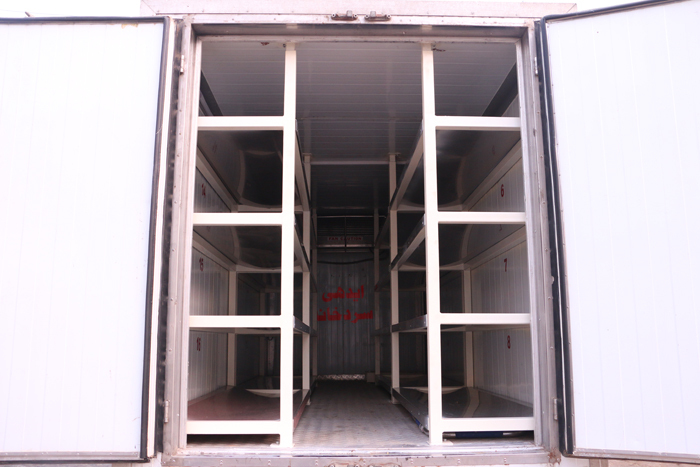 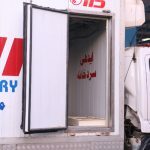 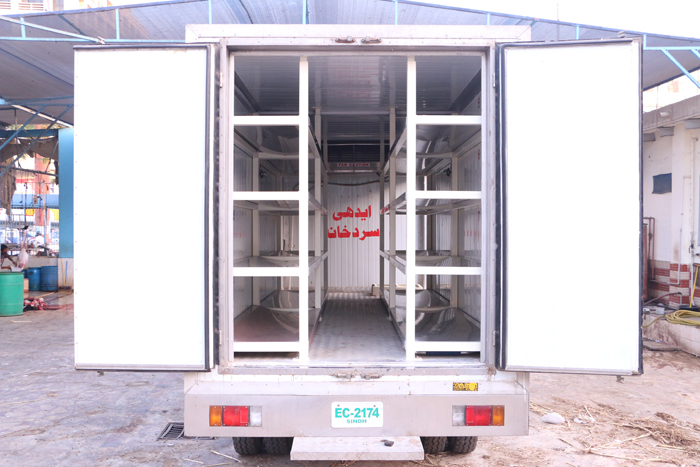 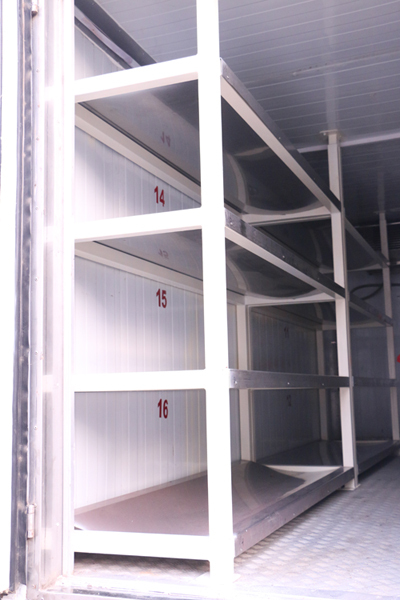 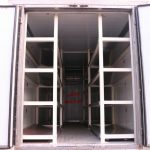 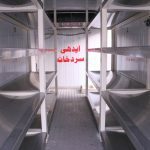 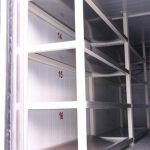 In this mortuary, there was space to keep only 16 coffins, yet now 30 coffins can be kept simultaneously, as these heirless dead bodies which usually are unidentifiable who have either killed due to bigger accidents, or bomb blast, or firing. 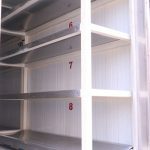 These coffins are kept for 3-4 days in the mortuary, and then they are buried duly displaying their personal bio-date on the tin-slate at the graveyard so that it could be easier to search and find by their heirs. 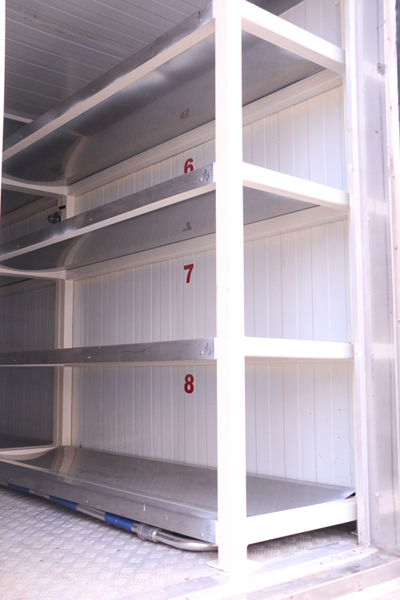 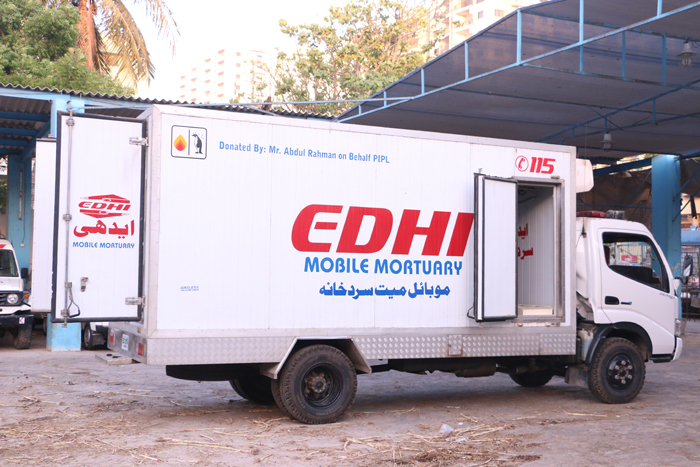 From 1986 to 2008, these unclaimed coffins were buried in the Edhi graveyard. 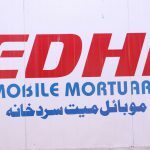 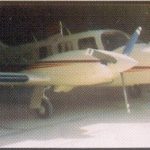 When no space is left to bury any more dead bodies, then a plot measuring to 10 acres were again purchased in 2008 where the heirless remains are being buried there till to date. 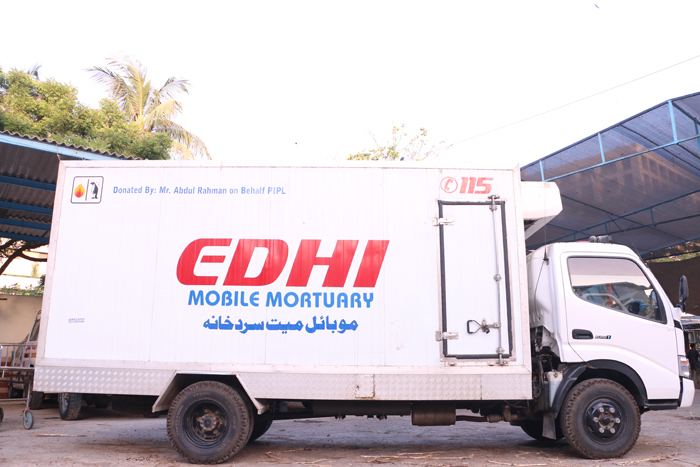 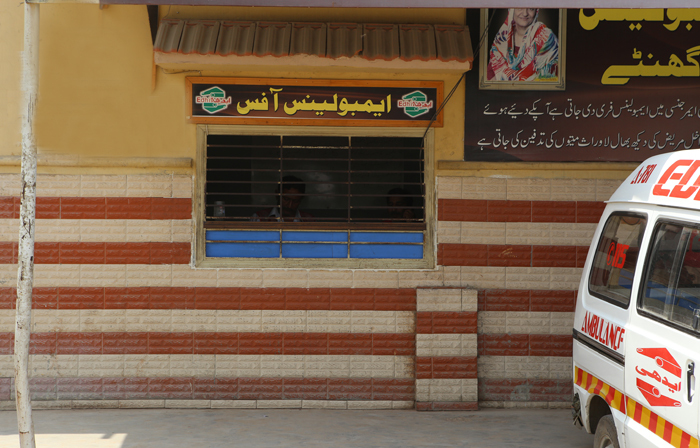 In the Edhi Graveyard, on average 250 to 350 unclaimed dead bodies are being buried on monthly basis. 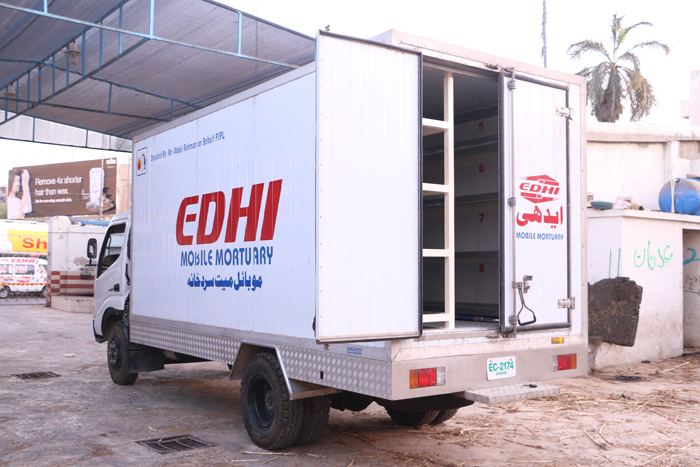 For the burial of a heirless coffin, on average Rs.6000/- expenses do occur. 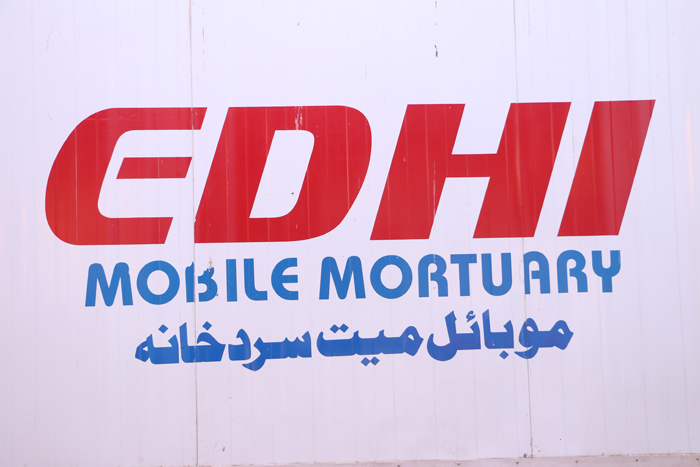 Yearly more than 8000 unclaimed coffins are being buried, and the outlay comes to the tune of Rs.8000/- per coffin. 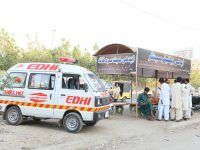 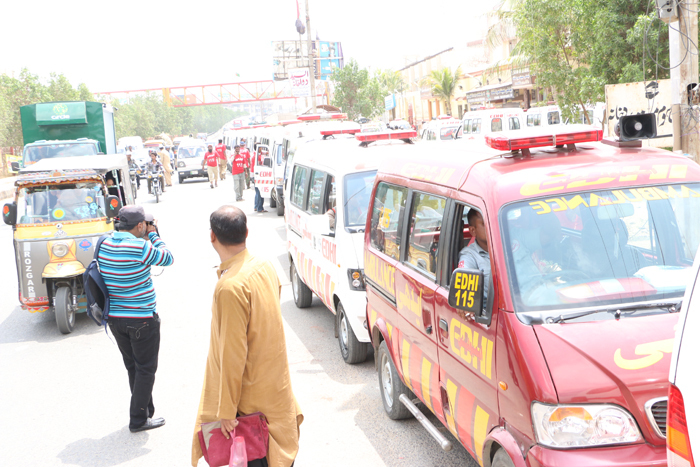 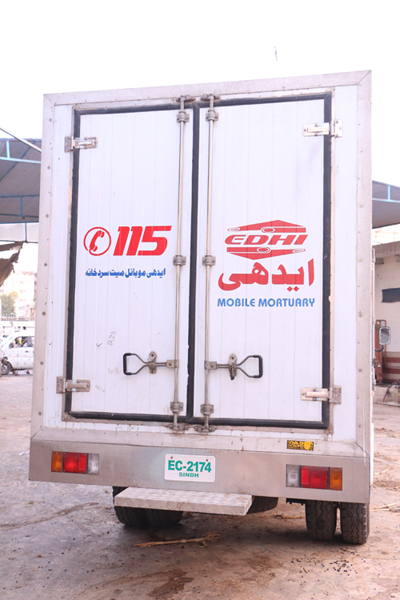 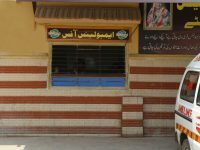 In accordance with the record, in Edhi Mwach Goth Graveyard, 96000 unclaimed dead bodies have been buried till now.